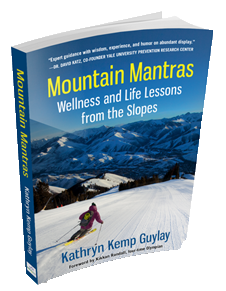 Four-time award winner and Amazon bestseller in multiple formats, Mountain Mantras: Wellness and Life Lessons from the Slopes provides inspiration to tackle life's challenges. It offers simple tools and techniques to live life more fully, with more energy, and with greater success. "Mountain Mantras plays an important role in the movement to improve our nation’s wellness. The book is full of actionable items that if followed will without question improve one’s health – it exemplifies the true nature of wellness, told with a humorous and engaging tone. " Make Nutrition Fun: End Food Fights and Find Family Peace in Just 30 Days uses stories from the author’s personal life as a mom, wife, and certified nutritional counselor as a heartwarming and often hilarious backdrop for studying nutrition lessons and providing balanced, science-based advice. * Follow a 30-day plan to adopt new healthy habits for improved health and wellness for the whole family. 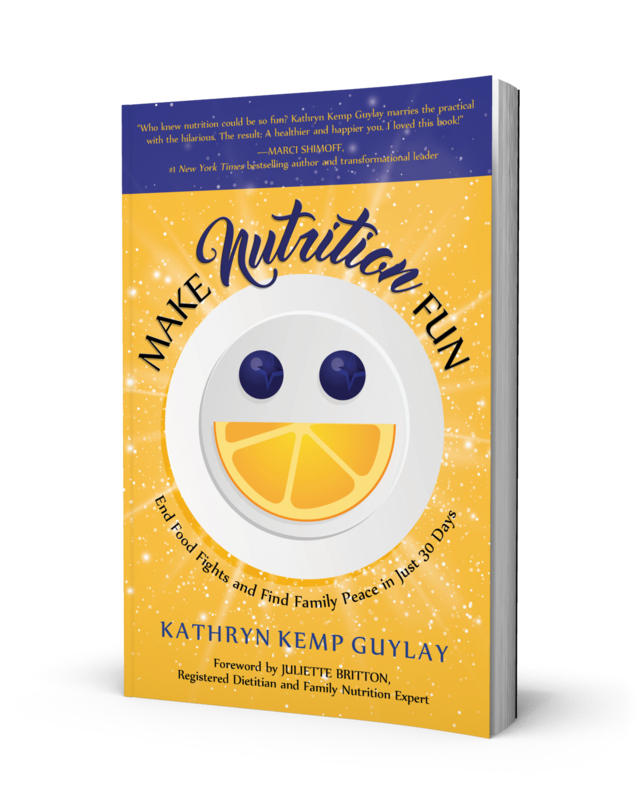 "Who knew nutrition could be so fun? Kathryn Kemp Guylay marries the practical with the hilarious. The result: a happier and healthier you. I loved this book!" 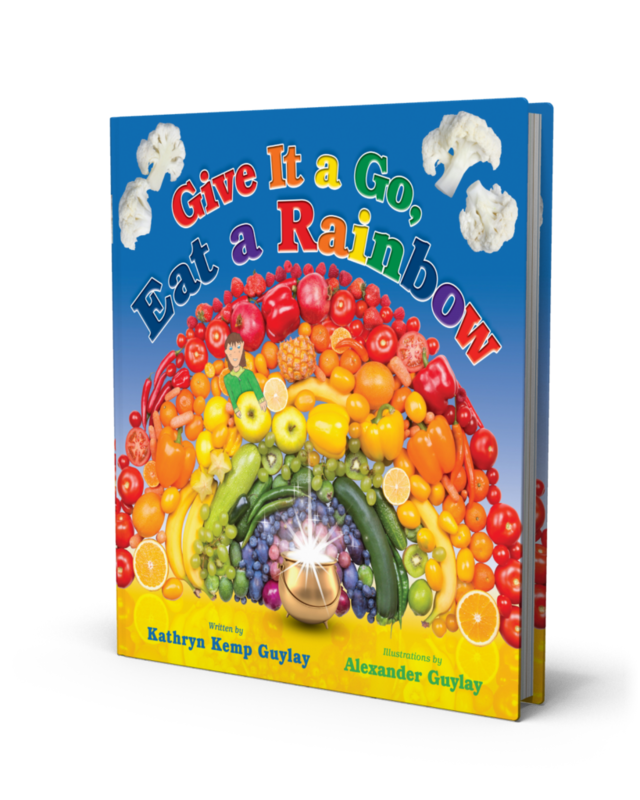 Five-time award winner and Amazon bestseller in multiple formats, Give It a Go, Eat a Rainbow is a favorite for parents and teachers who want to encourage children to eat more veggies and fruits. The book uses charming illustrations by 12-year old Alexander Guylay combined with real-life photography and simple rhymes to create an augmented reality that immediately draws kids into the story. "This book deserves a spot in every classroom and home as a powerful way to connect the basic foods we grow and eat to a larger lesson in healthy living." Seis veces ganador del premio y bestseller de Amazon en múltiples formatos, Vas a Estar Feliz, Come un Arco Iris es un favorito para los padres y maestros que quieren animar a los niños a comer más verduras y frutas. El libro utiliza ilustraciones encantadoras del niño de 12 años de edad (Alexander Guylay) combinadas con la fotografía de la vida real y rimas simples para crear una realidad aumentada que inmediatamente atrae a los niños en la historia. "Hacer que los niños se emocionen con comer frutas y verduras es una prioridad de salud para nuestra nación. Estoy encantada de ver un libro divertido e inspirador dirigido a los niños a una edad muy temprana. Ese grupo de edad es donde la magia puede suceder en términos de establecer patrones dietéticos saludables que duren toda la vida." Sequel to"Give It a Go, Eat a Rainbow", Where Does a Rainbow Grow? Is for parents and teachers wanting to continue the journey to encourage children to eat more veggies and fruits. 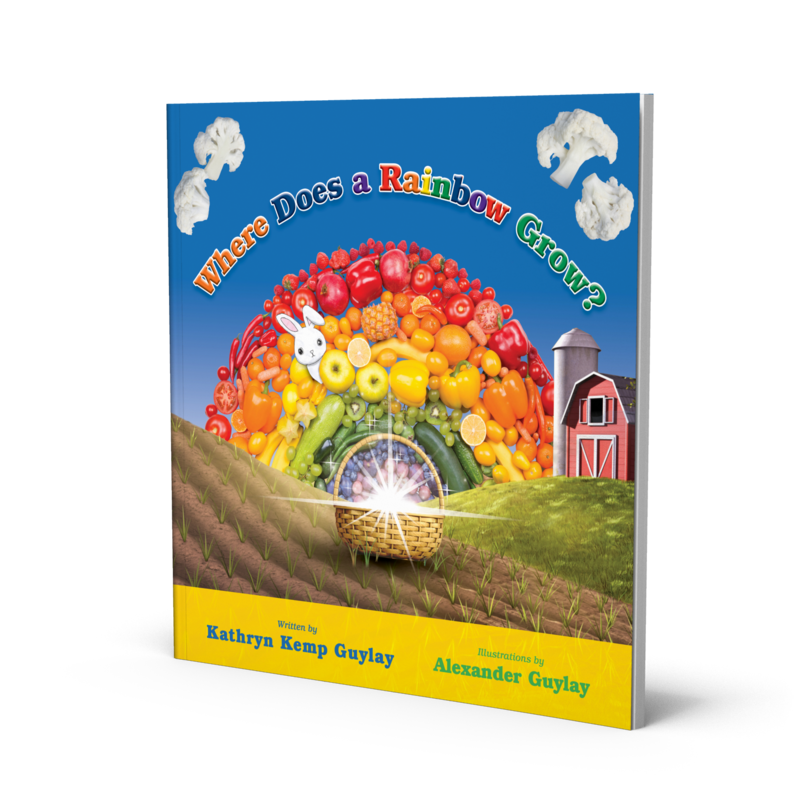 The book introduces a new character in the series, Sammy the Bunny, who takes Blake on a journey to discover where healthy rainbow foods come from. The book addresses healthy eating, farm-to-table concepts and plant identification (specifically fruits and veggies), in an engaging and positive way. "Sammy the bunny is the perfect ambassador to take young readers on a magical journey to learn how to identify plants as healthy food sources. An important addition to school and home libraries." -Chef Ann Cooper, internationally recognized author, chef, educator, speaker, advocate for healthy food for all children and founder of the Chef Ann Foundation. Meticulously researched and supported by real, unbiased data, Look Before you Leap is based on the heartwarming and heartbreaking stories from over one hundred interviews and surveys with published authors across traditional, self and "hybrid" publishing. 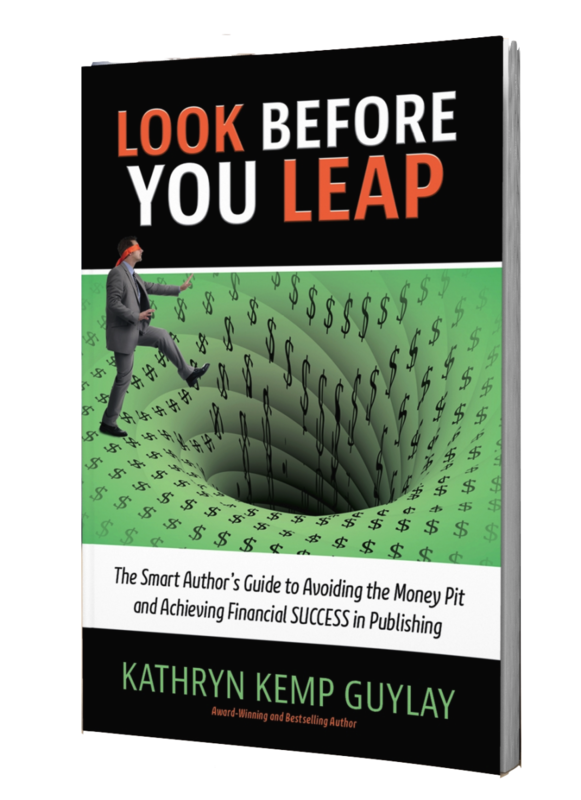 The author’s own personal experience as an author advocate and four-time award-winning and bestselling author provides an engaging, often hilarious, backdrop for this guide on book publishing.